The cool thing about having a well-stocked pantry is that I can make most anything we crave on a whim. We’re not big candy eaters. I don’t believe that you can classify a road trip as a real roadie without a bag of peanut M&Ms (and Funyuns!) but other than the usual Reese’s Peanut Butter Cups hiding in one of the fridge door compartments, we don’t do much candy. What we do is ice cream. Most nights, we share a bowl on the couch, in front of The Daily Show. It’s nice to be able to walk up and pull out your freezer drawer, over-sized scooper in hand, and have a mini creamery right at your feet. 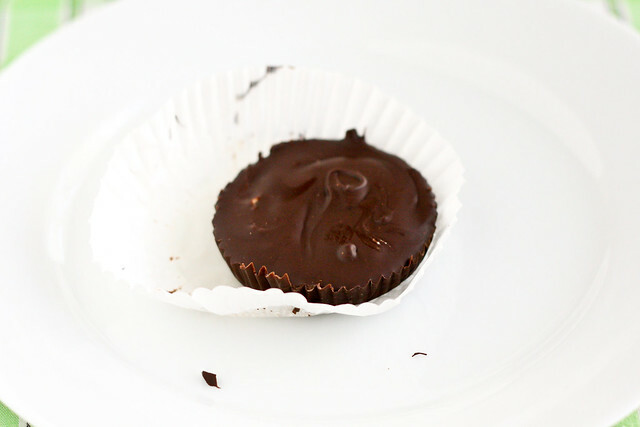 I decided to make homemade Reese’s peanut butter cup knock-offs because… well, just because, really. Kind of the same reason I made homemade butter. Because I found out that I could make homemade butter. So I whipped up a batch of chocolate ice cream – I’m a fan of rich, intense, and chocolatey chocolate ice cream so this is ice cold perfection. But it could be better. You know, should you have leftover peanut butter cup filling and chopped peanut butter cups laying around. 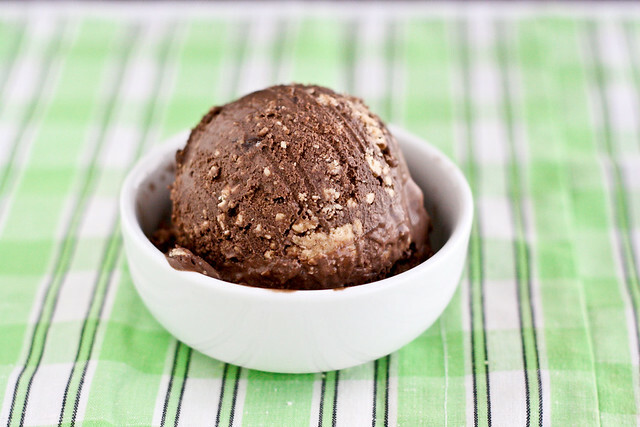 Rich chocolate ice cream with chunks of homemade peanut butter cups. Warm 1 cup cream with the cocoa powder and whisk thoroughly. Bring to a boil and then simmer for 30 seconds, whisking constantly. Remove from heat, add the chocolate, and stir until smooth. Then stir in the remaining cream. Pour the mixture into a large bowl, scraping the saucepan as thoroughly as possible. Set a mesh strainer over the bowl. Warm the milk, sugar, and salt in the saucepan. In a separate medium bowl, whisk the yolks together. Slowly whisk the warm milk into the egg yolks and then pour the yolk mixture back into the saucepan. Stir the mixture constantly over medium heat , scraping the bottom, until the mixture thickens and coats the back of your spoon. Pour the custard through the strainer and stir it into the chocolate mixture until smooth. Add the vanilla. Set the bowl in an ice bath and stir until cool. Chill the mixture thoroughly in the fridge (overnight works, too), and then freeze it in your ice cream maker according to the manufacturer's instructions. Add the chopped peanut butter cups and drop spoonfuls of the peanut butter cup filling into the ice cream during the last couple minutes of churning. To make the peanut butter cups: Add the butter, graham crackers, powdered sugar, peanut butter, and salt to the stand mixer bowl and mix on medium-high until thoroughly combined. Place in the fridge while prepping the muffin pan. Place chocolate in a bowl and melt in the microwave in 20 second increments. Transfer melted chocolate to a ziploc baggie and snip a corner off of the bag. Line a mini- or regular muffin with paper liners. Squeeze a teaspoon or so of melted chocolate into each cup (or more if you're using a cupcake pan), giving the pan a shake to distribute the chocolate evenly in the bottom of the cups. Place in the fridge until just set. Add a dollup of peanut butter filling to each cup. Try to keep the peanut butter off of the sides of the cup so that the chocolate can completely cover the filling. Cover the peanut butter with chocolate and refrigerate until set. The leftover filling freezes very well. I placed it in a quart ziploc baggie and smooshed it out to an even thickness before sealing. I've broken off a chunk and put it right back in the freezer. Oh. my. goodness. gracious. that. is. tantalizing. This looks awesome and homemade is always best! Oh good gracious, that is dangerous. My husband, who pretends to not like sweets, has a tradition of picking up a pack of Reese peanut butter cups when he and our three-year-old go to the market. One is for him, one is for Ben, and one is (supposedly) for me. I rarely get mine. If I made this, I do believe I’d be his most favorite wife ever. This recipe looks delicious. Great photo and ice cream melts so quickly that you have to get a good shot quickly before it starts melting. Great Job! I’m not big on candy either – I much prefer my sugar and chocolate mixed into flour and butter. Also, The Daily Show – love it! WOW. You had me at peanut butter cups! But ice cream? I can’t imagine anything better! You made ice cream with my favorite candy!! 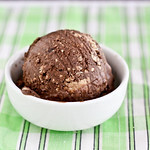 I cannot believe I never thought about doing a Peanut Butter Cup Ice Cream, silly me. I always have to have homemade ice cream in the freezer, this looks awesome! looks fabulous!! i need to try this sometime! Oh, my. That is enough to send a pregnant lady into a crazed frenzy. 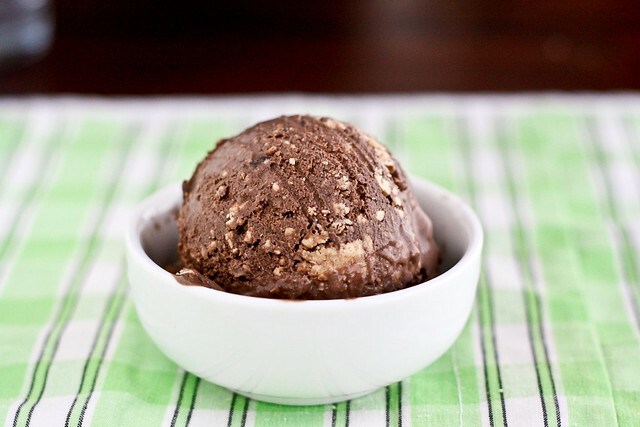 MUST HAVE CHOCOLATE & PEANUT BUTTER ICE CREAM! Seriously, that sounds unbelievably good. What a great idea. My favorite ice cream is mose tracks that has little PB cups in it so I can only imagine how amazing this ice cream is. You rock! how do those of us without ice cream machines make this delectable treat?! This looks delish! Oh my, oh my!! !